Android 4.2 version has good looking clock app for displaying time and setting alarms. But there are more Alarm Clock apps better than default clock available on Play Store. 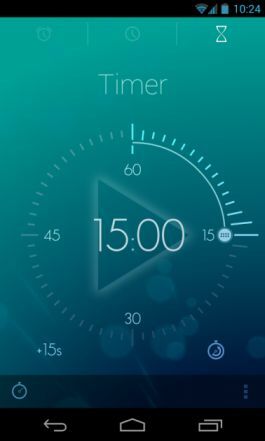 Timely is one of the beautiful Alarm Clock applications which have gorgeous design, lot of functions and customization options. Timely has the features including beautiful clock, stopwatch, and timer and allows you to set alarms. It has an awesome user interface and beautiful animated backgrounds. The main feature of Timely is Cloud Integration of your alarms with multiple devices. So you can backup and sync the alarms across multiple devices like smartphones and tablets. Timely has variety of attractive themes and you can change the colors. 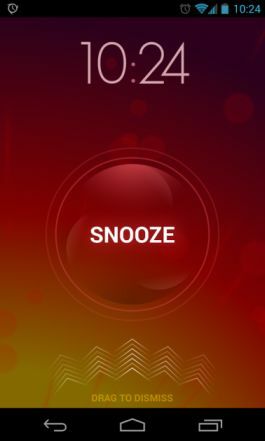 There is also a unique feature called Smart Rise feature which rings the alarm 30 minutes before regular alarm time with a slowly fading melody sound. It has the Google Now integration and you can set alarms from Google Now. Timely for Android comes with free and pro versions and the free version will show advertisements after 5 days. You can buy the Pro version is available in-app purchase for 3$ to avoid advertisements and unlock the all features.